A spaceship returns from deep space to find the Earth in "The Aftermath" of a nuclear and biological war. The streets are filled with mutated survivors feeding off the weak and a Manson-like figure called Cutter, Sid Haig, "The Devil's Rejects" (2005), "House of 1000 Corpses" (2003), "Jackie Brown" (1997) is reigning terror down on all others. Cutter and his gang of mercenary thugs are systematically murdering all the male survivors and enslaving women and children. Most of his targets are easy, but all that changes when Cutter confronts astronaut Newman (Steve Barkett, "Empire of the Dark," "Dinosaur Island," "Dark Universe"), and the woman Sarah (Lynn Margulies) he finds and falls in love with, and the young child Chris (Christopher Barkett, "Empire of the Dark"). What follows is a cat and mouse game of violent and spectacular proportions with no less than Earth's survival in the balance. 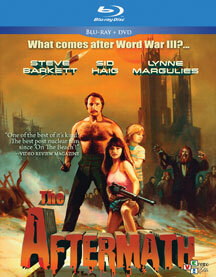 'The Aftermath' was originally banned in the UK and labeled a 'Video Nasty' and contributed to its cult status! 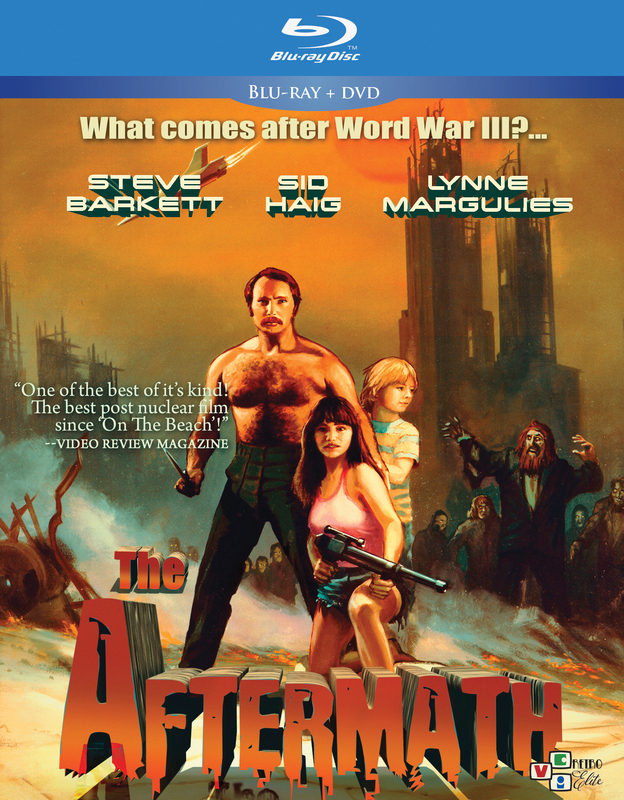 Cult classic 1982 post apocalyptic sci-fi movie makes its Blu-ray debut! 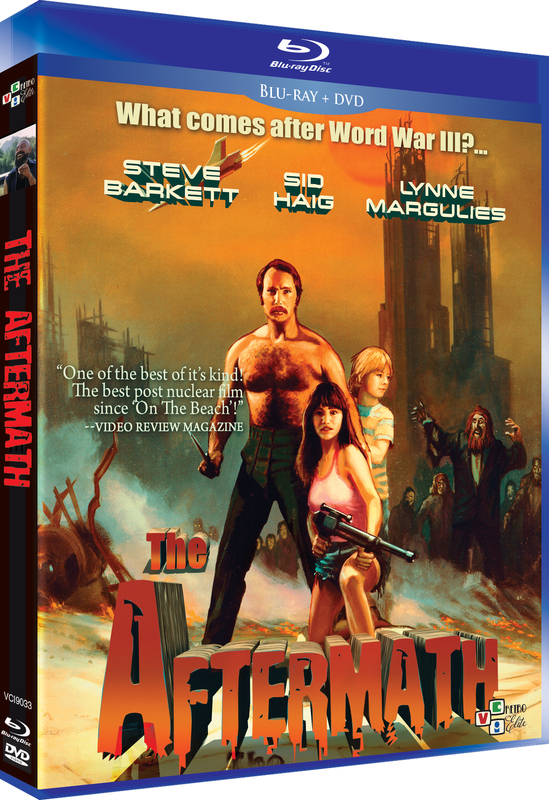 The Aftermath is an amazing ride into a grim future, loaded with action, graphic gore effects, and beautiful matte paintings... Highly recommended!